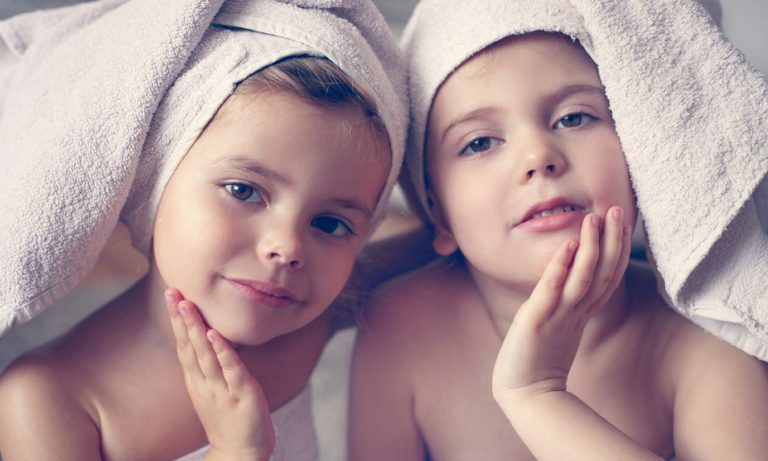 Tips for your kid’s skin care – A must read!! I still can’t get over the feeling that I felt while holding my elder one for the first time in my arms. A feeling which got etched in my memory forever and I will not be surprised if you say it leaves you teary eyed when you think about the moment, when you picked your first one for the very first time. Those cottony and velvety like delicate skin gave you goose bumps when you tried to nuzzle him/her close while ensuring not to hurt his/her tiny body. And you vowed to protect him/her till your last breath. But life happens and things don’t go always as per the plan. Weather change and various other factors eventually show up their effects on your little one’s skin. Inadequate hydration, climate change, exposure to sun, harsh chemical based soaps and body wash; strip the moisture from the upper layer (epidermis) of your kid’s skin and make it dry and peel, which could be rather disheartening! There is nothing as tender and gentle than a kid’s skin and that’s why all the more it becomes essential to take extra care of your child’s skin along with his/her other needs. Since skin forms the first line of defense not only against the infection but also other elements, therefore cracks or breaks in the skin are a cause of concern. When the skin is dry or has cracks the products applied on it can further cause allergic reaction. So choosing a right product with natural ingredients is preferable. Our grannies and moms relied mainly on natural products like coconut oil during their times. An oil massage with coconut or olive not only helps to strengthen baby’s muscle but also provides adequate moisture. If your baby has extra dry skin and gets flaky or scaly, it is always better to consult a doctor before using any product since harsh chemicals can aggravate the existing problem. When it comes to bathing, one must look at a nature based product. I recently came across one such product – Carrie Junior. Carrie Junior products are enhanced with Fruito-E; rich in vitamins and nutrients. It restore skin’s moisture and provides natural glow. It is mild and gentle to your kid’s skin. However, since we all have different skin type it is imperative to do a little research on the ingredients of a bath/body wash that you use for your child. At the end what really matters is your child’s healthy skin because a healthy child is a happy child and a happy You! !